Email marketing is one of the most effective forms of marketing. No matter how big a brand becomes, it needs a way to communicate one on one with its potential customers. Email is the best source of communication between any business and its customers. Be it Apple, Amazon or any other brand, they communicate with their customers and potential customers about the new product launches or upcoming offers and sales. So email marketing is a must for any online business and so any marketer has to use a sizable chunk of his or her time crafting emails. But there are types of emails that one can schedule on automation as well. Like for example, if someone open and clicks a particular link in emails, he may receive offers related to those products, so on and so forth. It not only makes email marketing effective but saves time. 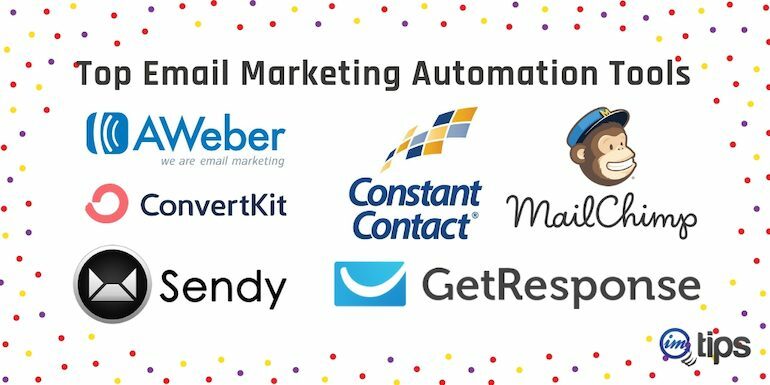 Here’s the list of email marketing automation tools. MailChimp is one of my first choice of email marketing tool for any new website or blog I launch because it offers a free option for the first 2000 subscribers. So you can get the feel of email marketing automation without paying anything. One can also create email campaigns, landing pages, connect MailChimp to generate leads with Google or Facebook ads. Has integrations with many CMSes especially can connect your WooCommerce customers and send them emails based on the kind of products they purchased. Being a developer, I prefer to use “self-hosted email automation tool” that allows me to send emails and create campaigns because the cost of sending 10,000 emails via Sendy is only $1 whereas the cost of the same in other email automation tool is close to $200. It is a really cheap pricing but you are hosting all the code on your servers and sending emails via Amazon’s SES. Each email that you get as a subscriber at IMTips is via Sendy and it allows to manage unlimited email lists, create reports and much more. It is one of my most preferred alternative to AWeber. AWeber helps marketers with an easy to use drag and drop email template editor that has more than 700 mobile responsive email templates. It enables the user to initiate automated email sequences, create professional newsletters, and auto create emails for new blog posts. I have started using Sendy but prior to that, I always preferred AWeber and if for any website, if I am not using Sendy and if I have outgrown free MailChimp level, I prefer AWeber. ConvertKit is easy to use and has an option to import all your data from other email automation providers like AWeber or MailChimp. It has a tag-based subscriber system, dynamic emails with merge tags, effective visual automation builder and a user can create various form types too. Additionally, it helps the user to create easy reports for analysis. Constant Contact performs like a professional. Apart from being a bit glitchy in testing, it offers a great help. A user can run polls & surveys for actionable customer feedbacks, offer coupons, create invitations and track RSVPs. You can collect online donations too. Getresponse allows you to import and host a mailing list, automate emails using autoresponders, view and analyze statistics for your email marketing campaigns, has a wide range of templates, split testing, in-depth reporting. It has 3 types of plans – Email, Pro, Max, and Enterprise which again integrates other tailor-made plans & features. Infusionsoft has an awesome campaign builder. In comparison with other email automation providers, Infusionsoft has good email deliverability. The CRM is great, has good customer service and provides users with a fast and stable platform. The USP of Infusionsoft is the integration between the CRM, eCommerce system, and marketing automation. Drip has some powerful email automation feature that comes at a budgeted price. 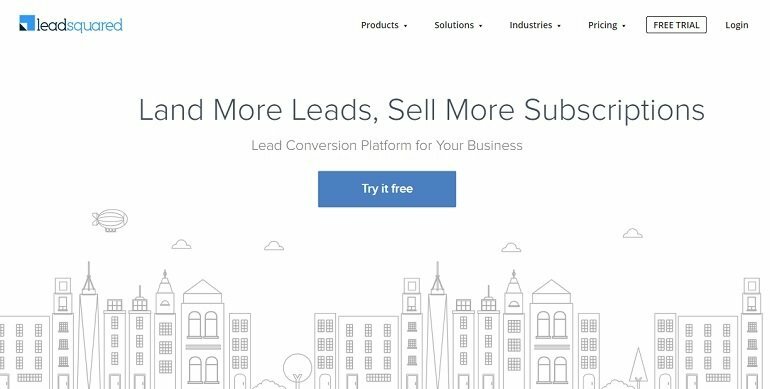 It delivers a streamlined marketing experience designed for B2B users who want to utilize powerful campaigns to cultivate and convert leads. Ontrport gives you easy email tracking options so that you can identify your bounce rate to remove inactive email addresses. The user also gets an insight about when the receiver opened an email or click a given link so that you can send follow up emails to get more engagement from the client. Intercom offers an easy and simple tool to connect with your customer in many more ways than just email. As with any email automation tool, It has an intelligent reporting, analytics, subscribe, unsubscribe, email template management, easy email editor and lot more. Easily create result-oriented email campaigns with Campaign Monitor’s drag-and-drop email building automation tool using hundreds of professionally-designed templates. It allows integrating with hundreds of pre-built apps so that you can seamlessly connect your e-commerce platform, CRM, or website with the interface. Sendloop is easy to customize and use without any IT knowledge. It has some unmatched email automation features like A/B testing, auto-responders, CAN-SPAM compliance, customer surveys, drip campaigns, dynamic content, event-triggered email, image library and lot more. ActiveCampaign makes email marketing fun. A user can set up an email welcome series using ActiveCampaign automation, segment your contacts, or use simple workflows to automate the marketing. Some popular features are email marketing, subscription forms, dynamic content, split testing, site tracking, event tracking, contact & lead scoring, Gmail extension and more. 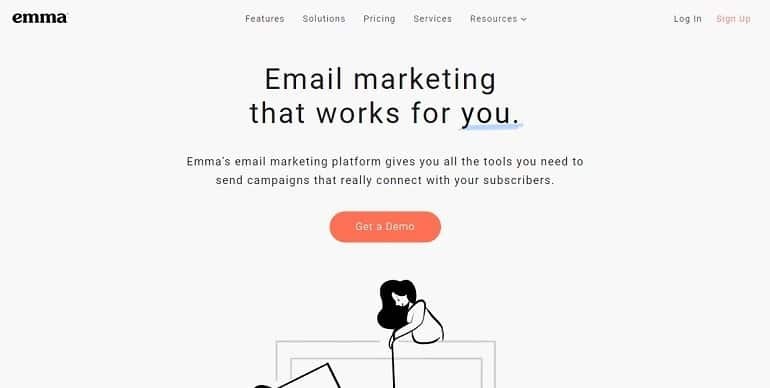 Send personalized emails to every subscriber using Emma. The user can run a series of tests on different kinds of email using a small percentage of an audience. Users can also use HTML template builder & email inbox previews to design, test, and send custom emails that look great in any inbox. E-goi delivers best results at low cost. If you have a long list of email subscribers and a little to spend then expensive email automation tools may not be for you. On the other hand, E-goi offers very similar functions and features at a better price compared to other tools with data protection. Try it now. LeadSquared is specifically for small and medium-sized businesses. It accelerates the lead capture process with features like responsive landing pages, drip marketing, segmentation, marketing and sales analytics, lead engagement index, marketing, and sales insights. Benchmark is all-in-all quick and easy email automation platform. For those who don’t know photoshop editing can even decorate their emails using the image editor. One can enhance their emails by adding images, effects, stickers, or even by adding a message with beautiful fonts over your photo. Mailer lite is free up to 1000 subscribers allowing users to use free newsletter templates, access to features like landing pages too. MailChimp free account is limited but MailerLite offers all the features up to 1,000 subscribers even for the free account.